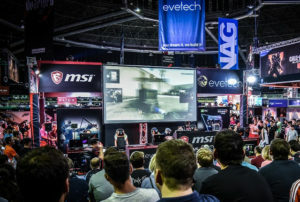 It’s here once more, the weekend we mean, and some of South Africa’s tech and lifestyle stores are offering up some pretty interesting deals to taunt gamers’ wallets. 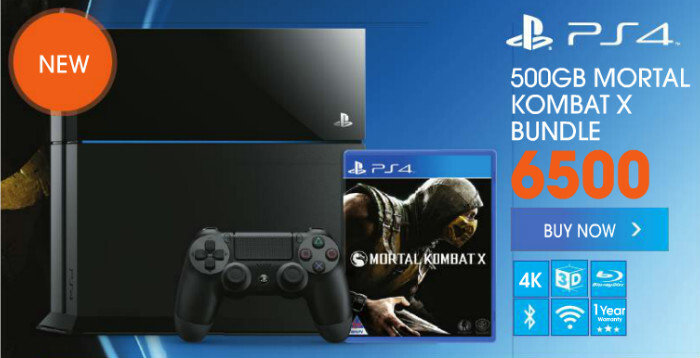 Dion Wired has a console and game bundle, featuring the 500GB PS4 console, one DualShock 4 controller and the recently-released Mortal Kombat X, all for R6,500 on the dot. 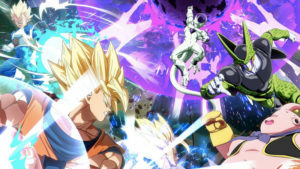 BT Games is continuing its pre-order deal from last week, making its special price on an Xbox One console and The Witcher 3: Wild Hunt available for another weekend. The entire bundle costs R5,999,90. 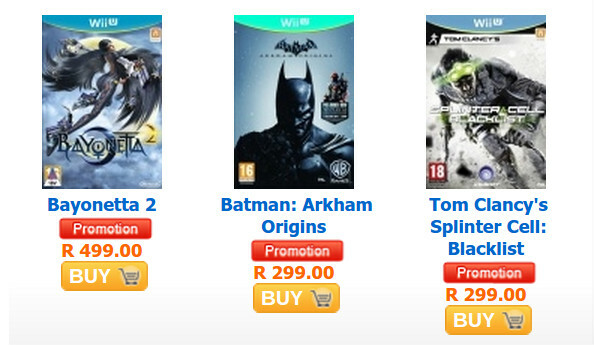 To give Nintendo gamers something to smile about, Animeworx has slapped some special prices on some Wii U games, including Bayonetta 2 (R499), Batman: Arkham Origins (R299) and Splinter Cell: Blacklist (R299). Game has a special on a standalone PlayStation 4 console and DualShock 4 controller for R5,990, and if you throw in an additional R849, you’ll get a PlayStation TV console device too. 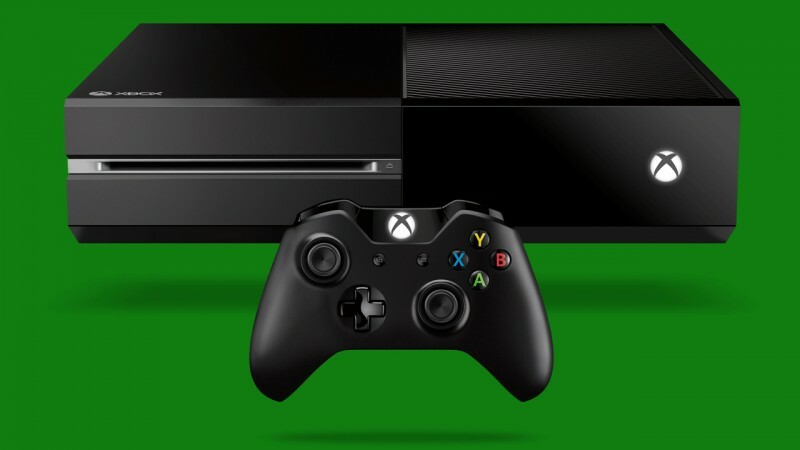 Raru also has some PC, Xbox 360, PS3, Xbox One and PS4 games on special. 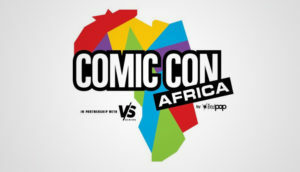 Some of the worthwhile titles include Wolfenstein: The New Order (PC) for R129, The Evil Within (Xbox 360 and PS3) for R399 each, and Batman: Arkham City – Game of the Year edition (PS3) for R215. 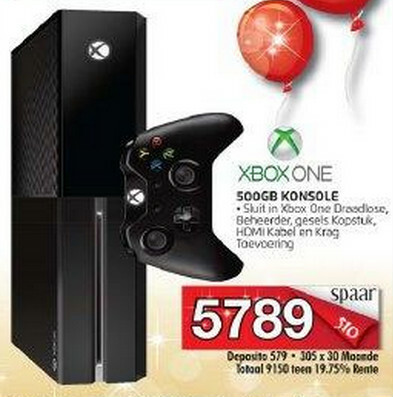 Check out more Raru gaming specials here. If you’re not looking to pick up The Witcher 3 bundle, perhaps another option is more up your alley. 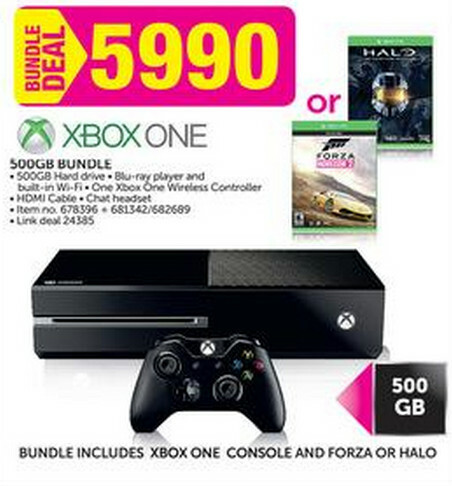 Game has a 500GB Xbox One console, one controller and one game (the choice between Halo: The Master Chief Collection or Forza Horizon 2), all for R5,990. 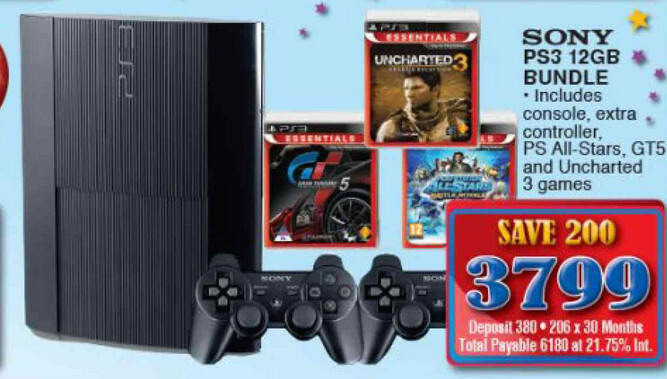 If you’re looking for a PS3 to buy in order to play the backlog of awesome games, OK has a 12GB super-slim PS3 console on special, which comes with two DualShock 3 controllers and 3 games (Uncharted 3, Gran Turismo 5, and PlayStation All Stars), all for R3,799. 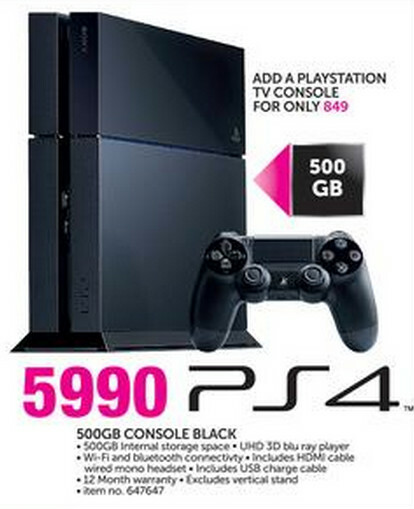 Takealot has also discounted its current PS4 price by R100, putting it at the R5,899 mark.